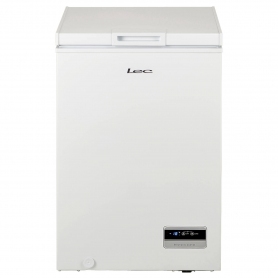 An improved model of Lec Chest Freezer, the CF100LWMK2 keeps all of your food conveniently stored. Order yours today. 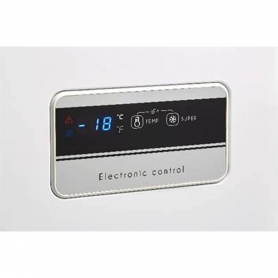 The appliance is tested to -15°C, this means that it can be located in a watertight outbuilding. The LED Light means that even if the room is dark, when you open the door you can see what is in your freezer. The new molded plastic basket is an evolution of the traditional wire basket. Now smaller items can be placed in it and overtime the basket will not rust. A counter blanced lid ensures that the lid remains upright when you are searching for your favorite frozen food.